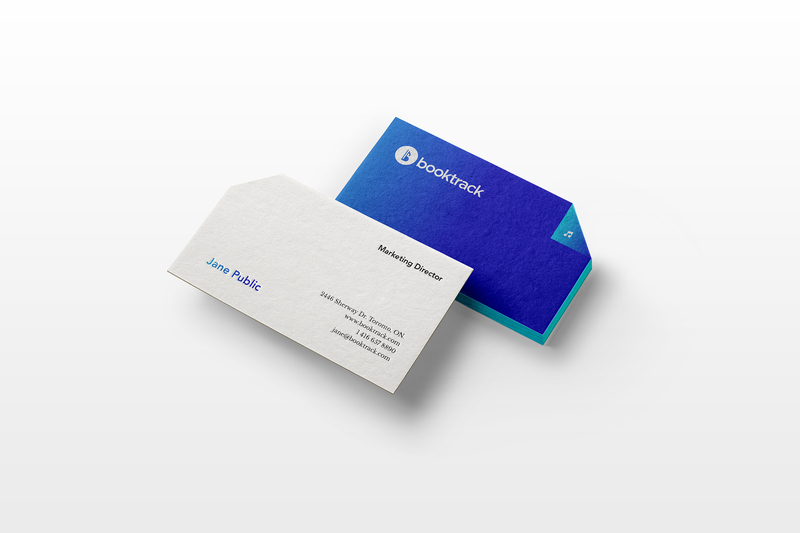 Booktrack is the ebook brand with a twist. 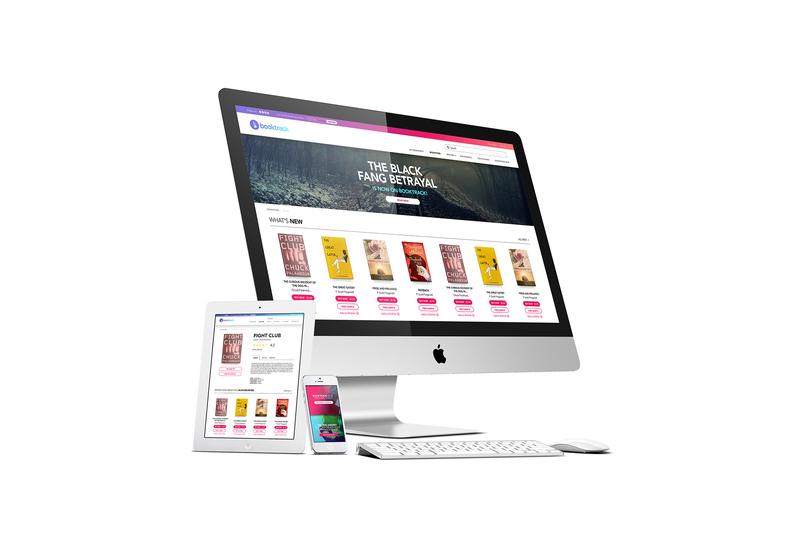 Every book available on the platform has its own original soundtrack; score and sound effects that sync to your reading speed while you read. 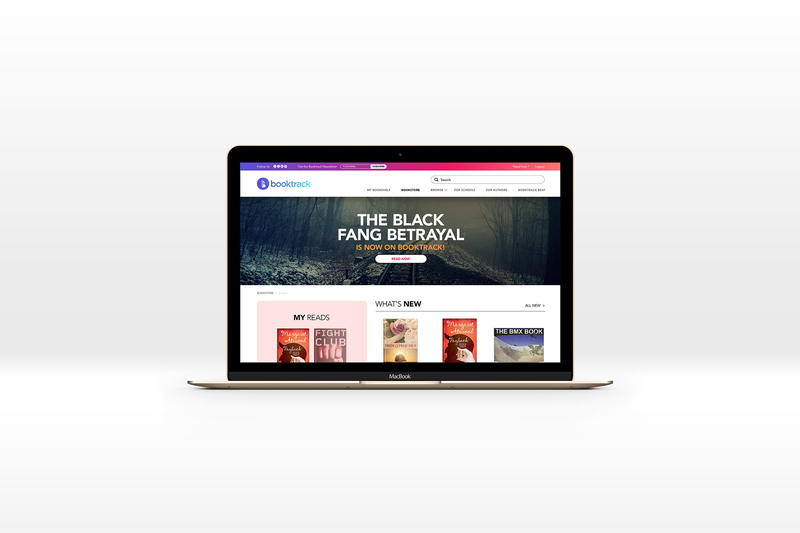 More engaging than audiobooks, a new spin on traditional reading experiences, Booktrack is a new entertainment medium that enables people to read, create and share stories that are more deeply immersive than ever before. We worked closely with the company’s founders and core team members to assess the user base established during the initial start-up and awareness-building stages of the online platform’s existence. 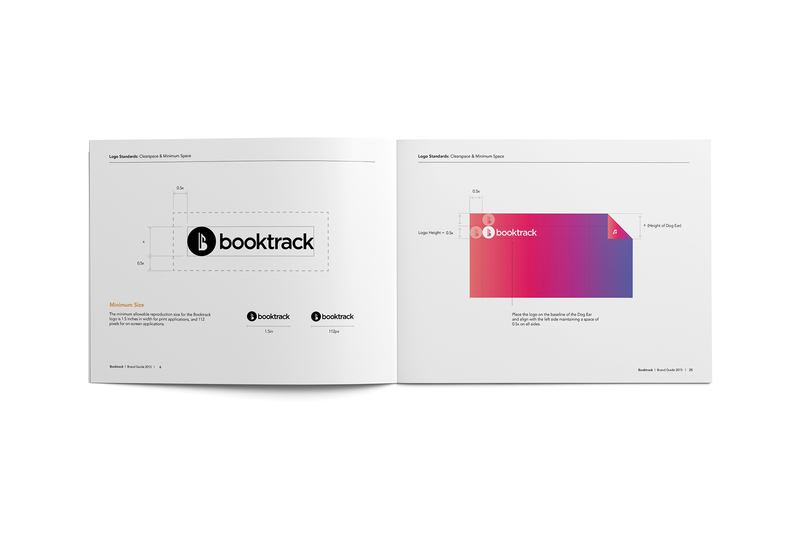 We also aimed to develop a focused understanding of prospective reader, author and publisher segments—gauging their openness to and interest in the Booktrack concept—as well as providing direction on how best to engage these key target groups. 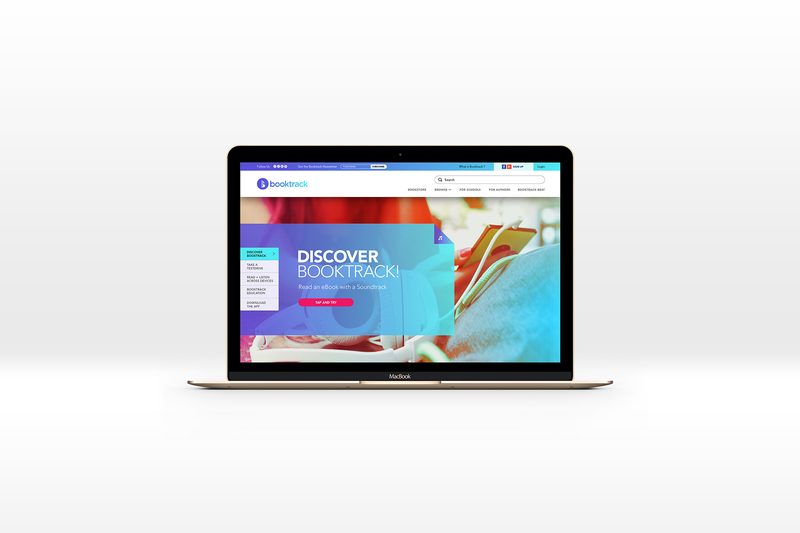 Development of a refreshed visual system hinged on conveying the feeling of excitement and energy inherent in the Booktrack experience. The system takes on a surreal quality with explosive photographic treatments set against controlled typography and generously-applied white space. A refreshed logotype, sporting a custom face and simplified forms, is brought to life with a shifting colour system that mimics the left to right movement fundamental to the act of reading as well as the start-to-finish journey of storytelling. 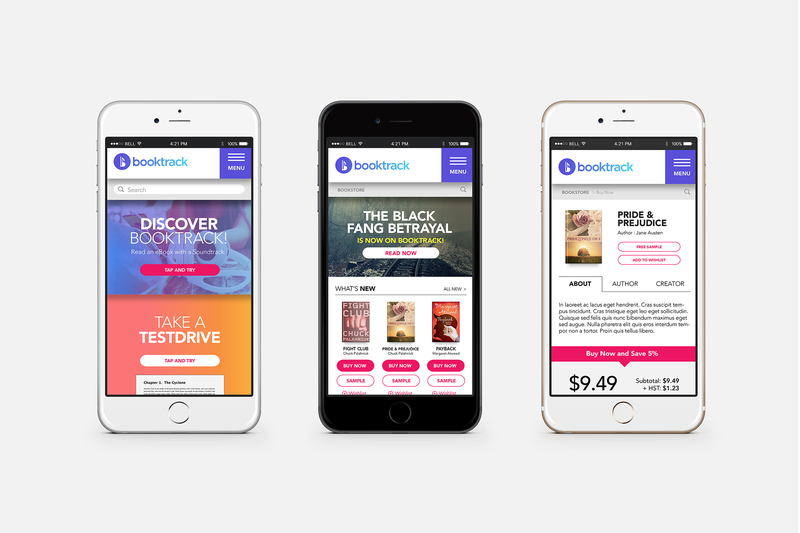 Online, Booktrack faces challenges unique to the brand. Not only are they competing with well-established online book sellers, there is also the need to educate consumers on the product benefits. 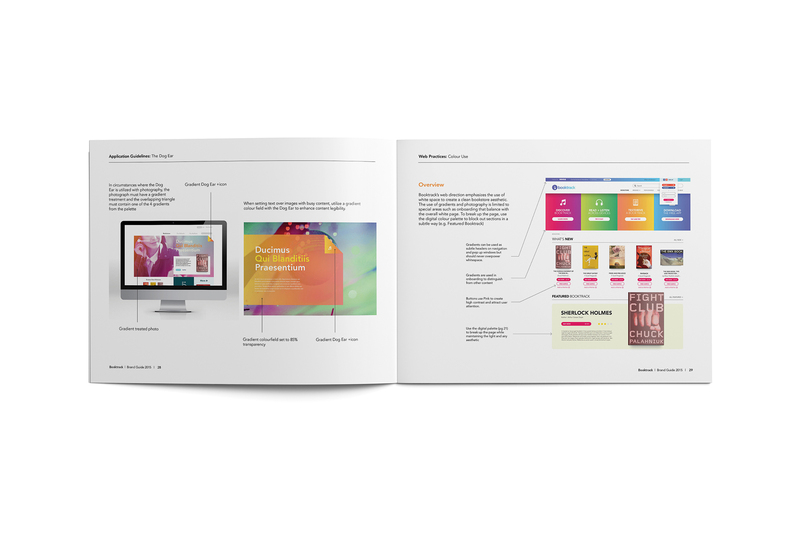 As a result, onboarding new visitors takes them through an introduction and product demonstration seamlessly before directing them into the user journey and product discovery. 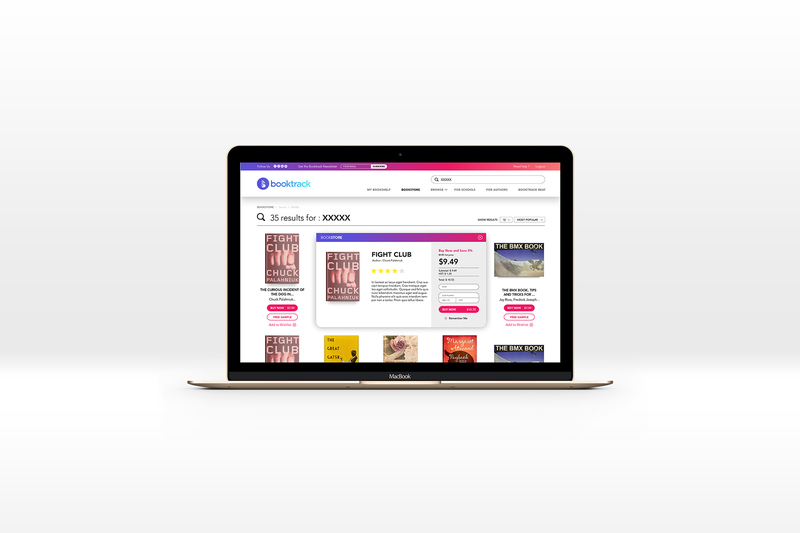 Purchase of Booktrack titles is streamlined down to a single click, placing an emphasis on improving simplicity for users and leaving fewer abandoned shopping carts for the brand. 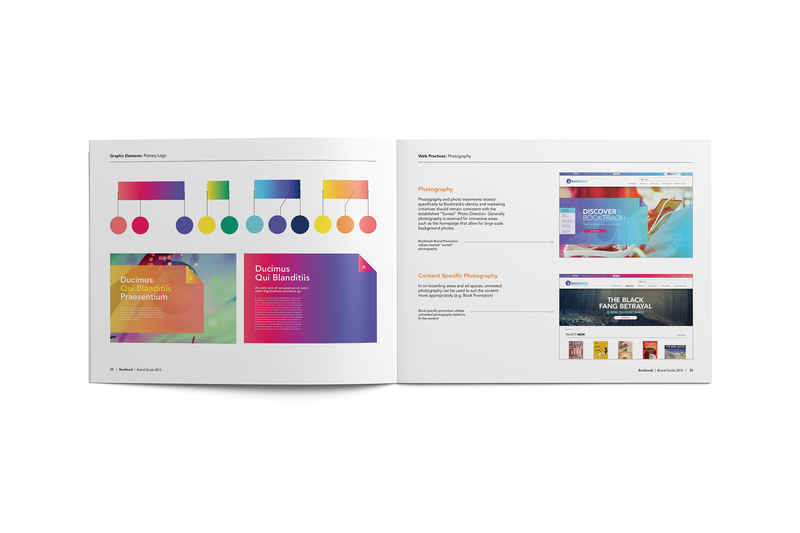 With 2.5 million Booktrack app users and counting, the combination of brand direction, vibrant design system and messaging direction developed by Jacknife is engaging story lovers on a sensory level that is genuinely reflective of the Booktrack experience while helping to entrench this progressive brand in the marketplace.